Participating in the second installment of the Tenkara-Fisher fly swap. The bugs are leaving Pennsylvania later this morning, headed toward Arizona. Shhh...the recipe is a secret! On a related note, Team Troutrageous! will be headed out as well...toward (hopefully) sunny Florida tomorrow. A few days of princesses, rides, & pixie dust are in store. Lilly might have fun too. So mobile blogging next week. Shorter posts, crappier photos, read at your own risk. Enjoy your trip and by all means, try to wet a line! Hey Mike can you arrange for a few of those flies to make a stopover in Colorado. Very cool. The swarm looks good. 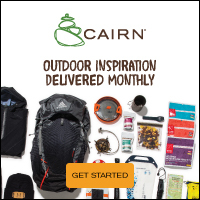 Got your email and yes, the pop-up is gone. Figured I'd let you know this way since I was here. Have fun in Florida, it's freaking cold here in PA this morning! Viva la Mouse World! The pilgrimage. Sounds like fun. Nice flies. Looks like a great swap. Try to sneak out and target some of those oscars and largemouth down there if you can. Have fun man! 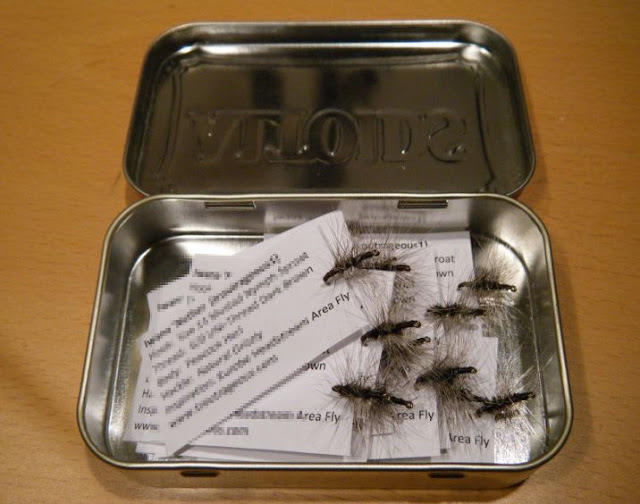 Good looking flies , I'm sure the recipient(s) will be happy with them. I am sure the people on the other end will be thrilled with their flies, like i was and i plan to fish one of your bombers very soon. Pixie dust...I want to go! Lilly sure will fit right in with all the princesses. Flies look stellar. Smart use of the altoids tin. Great looking flies, have a good trip! OK, he's gone. Someone light the grill and break out the sparklers. Let's turn this mother out. Let's play Jenga! oohhh, no wait......SCRABBLE!!!! !